If you just bought a used iPhone with an active iCloud account logged in and locked, you might be in a bit of a panic over what to do. You most likely don't know who the owner is, and if you even did, most people wouldn't want to give out their account information because they most likely have personal things on their phones. Your best option is unlocking it yourself. If the owner of an iPhone signs into/connects their 'Find My iPhone' feature, it automatically links their iCloud account to that phone. The iCloud lock is actually a good thing. In most cases, if someone steals an iPhone, it will be unusable to them because they have no way of logging out of the owner's iCloud account. This means that the phone will become useless once it requires the iCloud activation code. On the other hand, people who sell their phones legitimately may also forget to log out of their iCloud account before handing the phone over to the new owner. This poses a big problem for them. Note: these options work also even you are using iOS 11 on your iOS device. This is an iCloud unlock company that unlocks iPhones for a fee using their IMEI. Their average fee is £39.99 which is approximately $50 USD and they unlock the phones within 1-3 days at most. This company has gotten great reviews over time. They unlock iPhones from anywhere in the world as long as they have the phone's details- IMEI and model. The IMEI is simply a number used to identify mobile devices. Every phone has a unique one. if the iPhone is not activated, there should be a little 'i' on the screen, click on that and the IMEI will appear. The process is quite easy as they have a very responsive website and keep their clients up to date on the progress made. To unlock your phone, go to the website and fill in the information required. Click on the Unlock Now icon and you will be sent to a secure page where you can pay using a Visa or MasterCard. Your email address will also be required so they can keep you informed. This iCloud unlock company is also good with their delivery time which is within 2-5 days. They unlock all iPhone models with their average fee at £39.99 which is approximately $50 USD. The problem with this site is that they are not upfront about their payment plan. The only fee shown in the beginning is $19.99. Before the final unlocking step, the clients are suddenly asked to pay the remaining fee, which they are usually not aware of (because the remaining fees are not advertised). Because of this, many people have complained that they are not transparent and are taking a blackmail approach. However, they accept several methods of payment including American Express, which is a good thing. To unlock your iPhone with them, all you need is your IMEI and phone model, just like iPhoneIMEI. You can access their services anywhere in the world. It’s possible to bypass the iCloud lock on your phone and an easy way to do this is by using this bypass iCloud activation lock software called iCL0udin. The steps are relatively easy to follow. 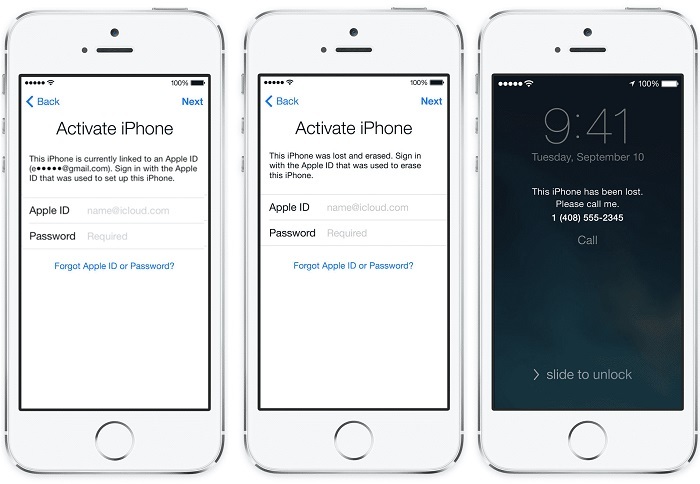 Download the ‘Bypass iCloud Activation Lock Tool’. Connect your phone to your laptop using a USB cable and put your phone in DFU mode. Click the start button and a list of modules will appear. Click Next. The software will begin the process. The process may take between 20-30 minutes. Once it is done, your phone will reboot automatically.